I finally found lady finger cookies on my last out of town grocery trip, hooray! 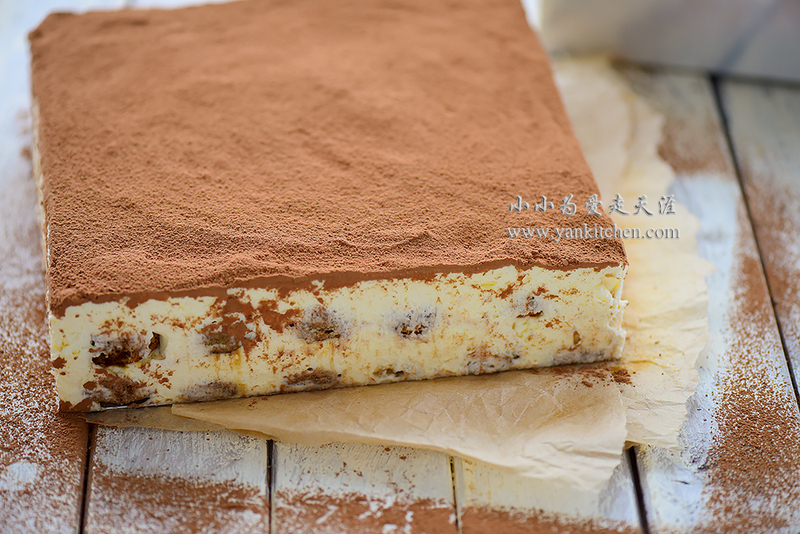 So I can make my beloved tiramisu again! The lady finger cookies have finer texture. They are crunchier and crispier than the cookie substitute I used before. And they taste so much better this time. So, my advice to you all, use the real lady finger cookies. They make such a huge difference! The tiramisu recipe is the same as I posted before with detailed step by step photos and instructions. Remove from heat and allow the yolks to cool a little bit. 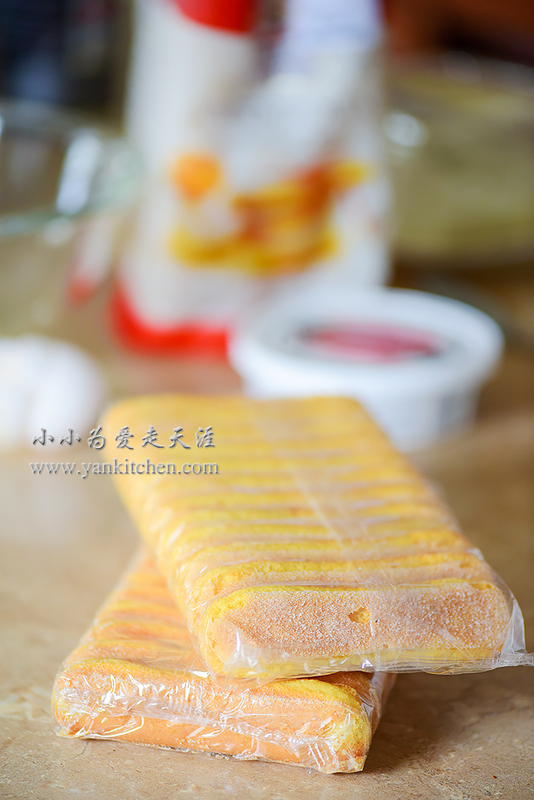 With a rubber spatula or whisk, gently fold the whipped cream into yolk and cheese mixture. Top with 1/3 cheese mixture and smooth it out with a spoon. Add another layer of lady finger cookies. Remove from the mold. 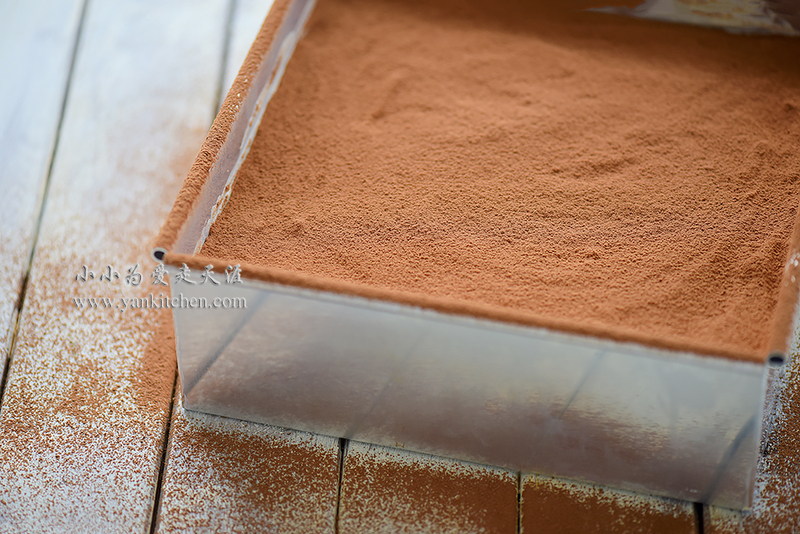 I use a square spring form pan this time, so it is really easy to do so.